​Would you like to go hiking? 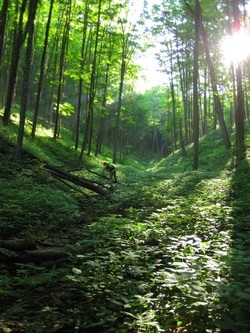 Do you feel like hiking alone, but not sure that you have the experience or expertise to get along safely by yourself? Are you having a hard time finding a hiking partner who is up to your ability level? Do you want to gain more firsthand experience about local trails and how to successfully hike them? Maybe you don't have all of the gear that is needed for your adventure? If you answered yes to any of these questions, contact me! I currently reside in Central Pennsylvania and I enjoy taking friends out for guided dayhikes as well as mulit-day backpacking adventures.